Kranich’s Jewelers has been serving Central Pennsylvania for Over a Century. Our State College location is located on North Atherton Street and is proud to be an Official Rolex Jeweler. Kranich’s specialize in the sale and service of Fine Jewelry and Watches. At Kranich’s Jewelers, you will find pieces by many of the world’s top jewelry designers. 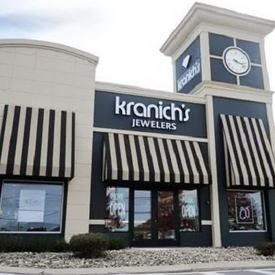 Kranich’s also feature a great selection of Estate and Diamond Jewelry and a Professional Jewelry Repair Center. Kranich’s believe in giving back to the communities we serve.